Get 24/7 emergency service, fast response, direct insurance billing and Free estimates. Fire, Smoke & Odor removal experts offering free estimates, Immediate response and 24/7 emergency services. Our Experts follow a 4-step process in detail content cleaning and restoration service. Our Experts can help get rid of harmful mold for residential and commercial properties. We offer free estimates and guaranteed services. Rainbow International services the Harford, Baltimore and Cecil counties. We have established a reputation that exceeds expectations, and have built our business upon a fast response and excellent service. 1When water damage happens, you need to react at once! Our team of water removal experts knows how to get your house cleaned and dry fast. Call us today! Forget about fire damage restoration headache! Our experts will clean and restore your home no matter what level of damage the fire has caused. Call us for a quick estimate. Sometimes you simply cannot replace certain cherished mementos. The good news is that most contents can be restored to their original, or close to their original condition. Do not make the mistake of neglecting your HVAC ducts or dryer vents! Keep your home systems in top condition by setting a routine schedule for duct cleaning services. Flooding can cause astronomical damages to your property in a very short amount of time. Our restoration service will help you to get rid of all possible damages! You may not realize you have a mold problem until it is too late. Call our mold remediation experts to make your house clean and healthy without any hassle! Rainbow International services the Harford, Baltimore and Cecil counties. We have established a reputation that exceeds expectations, and have built our business upon a fast response. Hear what our clients have to say about our team! At Rainbow International, we strive to provide the best restoration experience possible to all customers. Rainbow International is a full service restoration company with over 30 years of experience restoring properties to their pre-loss conditions. Servicing the Harford, Baltimore and Cecil counties, we are available 24 hours a day, 7 days a week and 365 days a year. We have built our reputation upon our immediate response, knowledgeable technicians, the proper restoration credentials as well as stellar customer service. Not all restoration companies are the same, and you want to choose a company that has a great reputation with insurance providers, is well known in the community, and who can get the job done right the first time. With locations all over the country and around the globe, Rainbow International has the experience necessary to restore your property in a quick and timely manner. At Rainbow International, we understand there are several different types of damage that can occur on your property. That is why we are fully equipped to handle any type of restoration situation at a moment’s notice. Broken pipes, appliance failures, storm damage and other types of water can infiltrate your home and cause massive amounts of damage in a short period of time. The key is to extract the water quickly and begin the drying process within 24 hours. Learn more here. Usually classified as Category 3 water, and deemed hazardous conditions, building materials and contents are harder to salvage through traditional drying methods. In these cases, you need a professional crew that understands the specific nuances of flood damage restoration & repair and which materials can be saved or not. Cracks in the foundation, sump pump failures or residual water damage can cause basements to accumulate standing water. The key is to begin the water extraction process quickly before mold or other secondary damage can occur. When a fire strikes your property, there are several different levels of damage that can occur. A professional fire restoration company will be able to not only mitigate the damage, but will also be able to remove any unsalvageable areas in order to fully restore your property. After a fire, soot, smoke and odors can be present and require specific techniques to mitigate. It is important to choose a company who understands how to fully remove smoke and odors, rather than mask them. If not addressed properly, soot can cause staining and discoloration. When you call Rainbow International, we will arrive with the correct tools to get to work immediately and restore your property to safe conditions. The most common form of secondary damage after a water damage event or water leak is the colonization of mold. Mold can form in the most hidden areas of your property which requires a trained eye and proper tools to accurately identify it. If you feel that mold has started to form in your home, there is not time to waste. Rainbow International is certified and fully equipped to take on any mold remediation project with ease; keeping your costs down and property safe. Rainbow International has placed a tremendous value upon obtaining the proper licensing and certifications to take on any restoration job. We are certified by the IICRC (Institute of Inspection, Cleaning and Restoration Certification) and NADCA (National Air Duct Cleaners Association). In addition, we are licensed, bonded and insured for any sized restoration situation we may encounter. Our technicians arrive trained and equipped with the knowledge required to restore your property. That is why we invest in training & education for our technicians on a continuous basis. 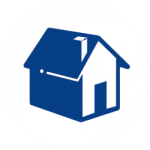 Has damage occurred on your property and you do not know where to turn? Give Rainbow International a call. We service the Harford, Baltimore and Cecil counties 24/7/365 and are committed to contacting you promptly to arrange service as soon as possible. At Rainbow International, we understand that a fast response is essential on any restoration project. In addition, we understand that every technician should arrive prepared and ready to get to work. 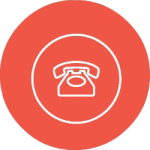 When you pick up the phone to call Rainbow International, you are not only calling a restoration company, but you are handing over the hard work to us. Once the call has been made, you can relax knowing we will complete the job correctly the first time. 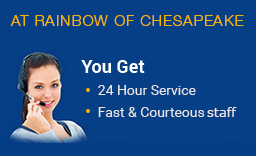 Some of the areas we service 24/7 are Rosedale, Nottingham, Pikesville, Aberdeen, Joppa, Chesapeake, Bel Air, Elkton, Cockeysville and Baltimore. Keep calm, and call the professionals at 877-853-2445! Rainbow International of Northeastern Maryland is the premier choice for residential and commercial remediation services. We are a 24/7 full service, IICRC Certified restoration company, offering a wide range of services for your home or business. Rely on us for the professional restoration of your property due to fire, flood and mold. Other primary service offerings include sewage clean-up, mold inspection and remediation, specialty cleaning, dry ice blasting, contents inventory and storage, personal contents cleaning, duct cleaning, detailed cleaning, sanitizing, deodorizing, laundry and dry cleaning services; all performed by industry professionals. Have you experienced damage to your home? Stay calm and call Rainbow International of Northeastern Maryland at 877-853-2445. What should you do next? There are many complimentary resources available to you to help you through this situation. Be sure to take advantage of them all. INSURANCE AGENTS: YOUR CUSTOMER BASE MATTERS TO US. AT RAINBOW INTERNATIONAL OF NORTHEASTERN MARYLAND, OUR GOAL FOR THE INSURANCE PROFESSIONAL IS TO INCREASE YOUR CUSTOMER RETENTION.